Stella Artois has announced a voluntary recall of 33 cl. bottles of Stella Artois beer that may contain particles of glass, and the recall applies to some Stella Artois single bottles in Bermuda. Goslings said, “Stella Artois today announced a voluntary recall of 33 cl. bottles of Stella Artois beer that may contain particles of glass. This recall applies to Stella Artois single bottles in Bermuda. “The recall is limited in scope to bottles from one third-party production facility that produces a fraction of Stella Artois bottles. This recall impacts less than 0.83% of Stella Artois glass bottles sold in Bermuda annually, and affected bottles will be far less than this. “This recall comes after the detection of a glass packaging flaw in 33 cl. bottles that may cause a small piece of glass to break off and possibly fall into the beer. “The potentially-affected bottles were manufactured by a third-party which is one of many supplying Stella Artois with glass bottles. “We made the decision to voluntarily recall 33 cl. bottles as a precautionary measure to ensure the safety of our consumers. “The beer subject to this recall includes Stella Artois bottles with a packaging date that falls within the ranges listed below. The codes can be found on the back label of the 33 cl. bottles. Attached are photos which show the exact location of the relevant production codes. “The safety of our consumers is our top priority. While the number of potentially-affected glass bottles is very small, we are recalling these Stella Artois bottles as a precautionary measure,” said Christina Choi, Global Brand VP, Stella Artois. “Our team of technical experts has been working with our third-party glass bottle supplier to ensure this packaging flaw has been addressed”. “Stella Artois is actively working with its distributor and retail partners to remove potentially-affected bottles from retail,” the recall notice stated. 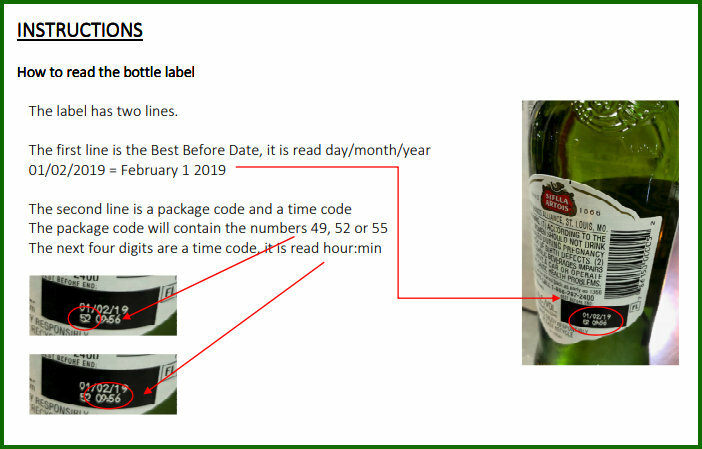 “Consumers who have 33 cl.-ounce bottles of Stella Artois beer marked with the production codes listed below should visit www.stellaartois.expertinquiry.com for more information and for instructions on how to find the production codes for potentially-affected product. Consumers can also call our consumer support team headed by Ms April Gosling-Naude at 295-1123 ext 324. Goslings sales staff will be visiting all customers who have purchased Stella Artois over the last year to check their Stella inventory. 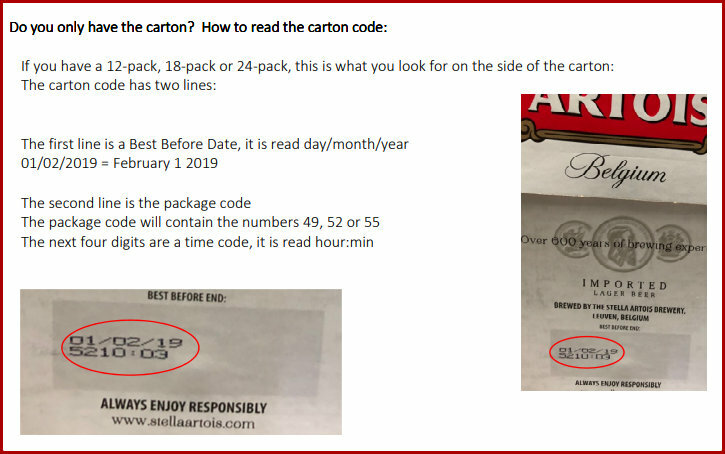 The company noted that retail Customers should look at the back label to check the Best Before Date- either 20/2/18 [which should already be off the shelf for obvious reasons] and 6/6/18. Any bottles with that dateline should be brought in to a Gosling’s store for replacement or refund.